This Pacific Floorcare 1500 RPM high speed burnisher has a plastic molded ABS base and frame. The thick base is rated for commercial use, and the all around heavy duty construction ensures for years of long term use. 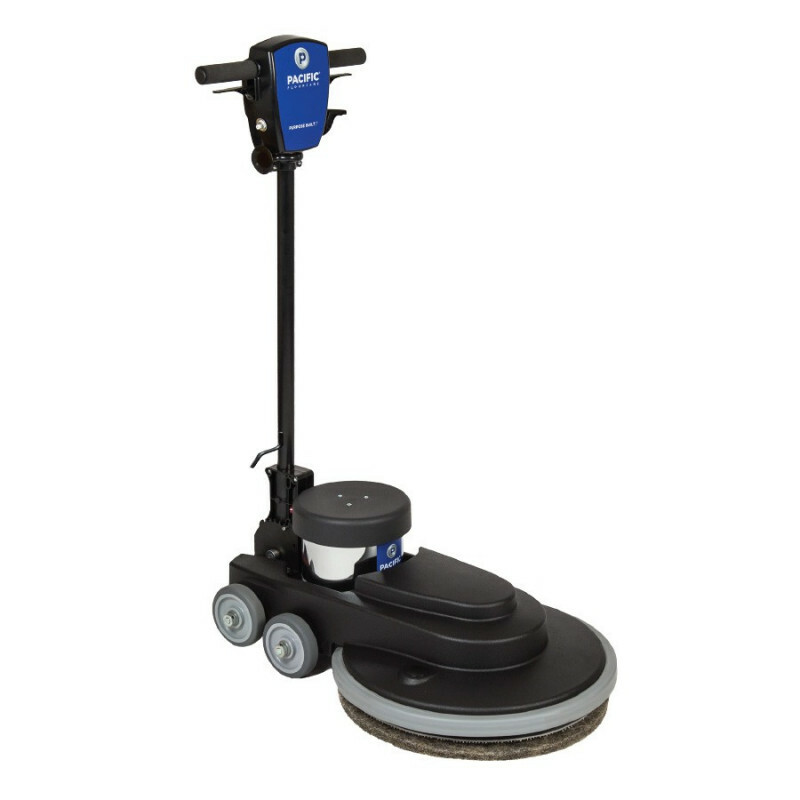 It is equipped with a 1.5 HP motor, a carbon brush wear indicator light, and a flexible pad holder. The flexible pad holder allows your polishing pads to evenly float over your floor and not strictly polish the high or low spots. If you are looking for a more heavy duty unit, take a look at the other makes and models of electric floor burnisher buffers that we offer. Brush wear indicator light takes the guess work out of when carbon brushes need to be changed. Long life, 3000-hour carbon brushes are installed in the motor. Durable cast aluminum switch housing, metal switch levers & heavy duty strain relief were designed for easy access & years of rugged use. Non-marking bumpers are permanently attached by stainless steel banding and guides to ensure that the bumper stays in place. Heavy duty yolk has a sturdy, durable cast aluminum yolks to withstand the rigors demanded of your floor care equipment. Industrial strength bearings have a 4-point flange for up to 5 times the life of conventional roller bearings. The .289" thick molded base is perfect for industrial contractor use.